South Africa’s golden trail girl Megan Mackenzie recently gave up her job, packed her belongings into a bag, moved to Europe and bought a camper van. Despite the challenges, she’s proving herself on the international trail stage. It’s difficult not to use the age-old cliché about dynamite and small packages when it comes to Megan Mackenzie; it’s almost as though it was written for her. Topping out at around five feet – and incidentally, topping most podiums in South Africa – Mackenzie has exploded onto the international racing scene this year; specifically at the Golden Trail Series, a five-event collection of trail races in Europe, the United Kingdom and America that has attracted the world’s best runners. Opting to give herself every advantage possible heading into the season, Mackenzie left her part-time job as a remedial therapist at Herzlia School in April, convinced her husband to do the same, packed all her belongings into a 20kg bag, moved to Europe and bought a camper van. Yes, rewind a bit – what is the Golden Trail Series? World-renowned outdoor brand Salomon had two main reasons for deciding to put on the Golden Trail Series. The first was to create a single, focused racing platform – in a saturated racing environment – that would appeal to and attract the world’s best shorter-distance trail runners. They have achieved this by selecting bucket-list races, and offering some pretty generous prize money – a total of €100 000 (R1.5m), to be exact. The second was to create a racing format that was not only exciting for runners, but for spectators too. If you can’t make it to the event, not a problem: Salomon have spent an enormous budget on resources to cover and stream the races live. 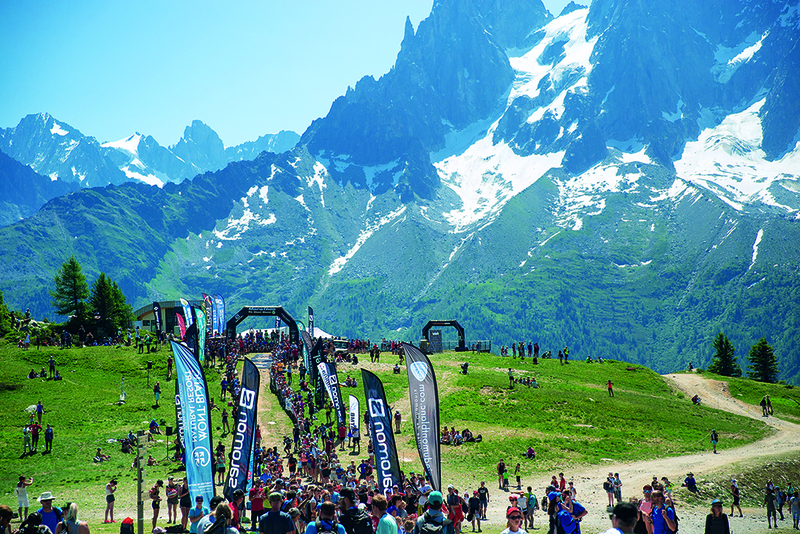 At the Marathon du Mont Blanc, for example, they employed the services of around 30 people on the day to successfully bring a professional, TV-style production to an online audience – a first in trail-running history. In a nutshell, the series consists of five races, between May and September: the Zegama-Aizkorri Marathon in Spain, Marathon du Mont Blanc in France, Sierre Zinal in Switzerland, Pike’s Peak in America, and Ring of Steall in Scotland. Runners must run three of the five events to qualify for the grand finale, and they earn points for each race they finish. Each competitor’s three highest-scoring results go towards an overall points total, i.e. a leaderboard. Then the top ten men and ladies are flown, together with a partner, to the roaming grand finale, to race for the Golden Trail Series crowns. This year the finale is taking place on home soil, at the Otter Trail Run – where, as it happens, Mackenzie is the defending champion. So how does opting for a European gypsy summer of racing against the world’s best trail runners put her in a better place to defend her title? It turns out that in fact, the Golden Series was just the catalyst Mackenzie and her husband needed to set an existing plan in motion. “Dave and I both knew we weren’t ready to settle down. We knew we wanted to go somewhere with big mountains, so last year we started toying with the idea of travelling South America; but our plans stagnated, and we got swept up in the daily ‘busy-ness’ of life,” says Mackenzie. Giving up social comforts – regular income, a flat, friends and family – isn’t easy; and Mackenzie makes no attempt to mask the reality that comes about when you make a decision of this magnitude. “There have been many frightening, freak-out moments! The beginning was the hardest, in fact. In theory, our plan seemed flawless: buy a van, travel, race, have fun, sell the van, come home. How hard could it be? “It turned out that actually pulling the trigger on the van, and all the expenses that came with it, was totally terrifying. We almost called off the entire thing in the early hours one morning in London, when going over the finances. And aside from making that difficult choice, living in a van isn’t as all fairy lights and lakeside coffee stops, as the millennials on Instagram seem to suggest. “It’s been a little tougher than we thought. Well, put it this way – it’s taken longer to get into the groove than we thought. Some of the everyday challenges include packing and unpacking our bags, and finding water to do dishes and to drink and get semi-clean. “Our van is pretty small. Every night we have to pack the bags in the roof in order to pull the bed out, and reverse the process in the morning in order to drive to places… But the highlights are definitely the self-sufficiency, and being so mobile. 2. Tea. Rooibos is like gold over here! 3. Tinned lentils and chickpeas, for those rainy days. Actually, for most days. Make that every day. 6. Cold beers in the fridge, because it’s so cool having a fridge in a car. 7. A bottle opener. 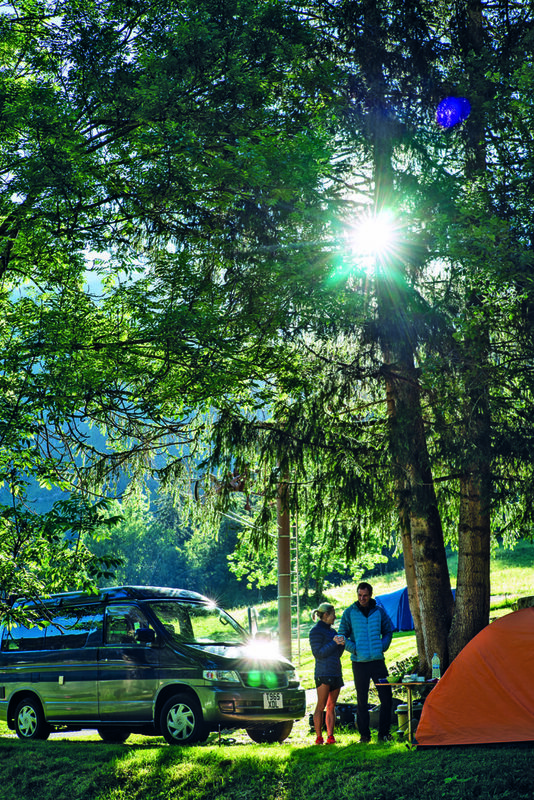 Unless you want to cruise from campsite to campsite making new friends. Speaking of ‘less’, recently Mackenzie and husband were robbed, on the slopes of Mont Blanc in France – and not by ordinary thieves, but by paragliding criminals. “Dave reckons it was the guys from the movie Point Break. They pulled a crazy stunt, stole our camping stuff, and left us stranded at 2 500m with only one cell phone. “Gotta hand it to them though, it was impressive thieving,” said Megan. As South Africans, we might be able to relate to being robbed in ridiculous places by wild thieves; but after chatting to Mackenzie, it’s clear we can’t relate to the different level of racing and performance overseas. “The fundamental differences are the level of competition, and the number of people racing and spectating. And the amount of hype/vibe/live streaming that goes on during the race. 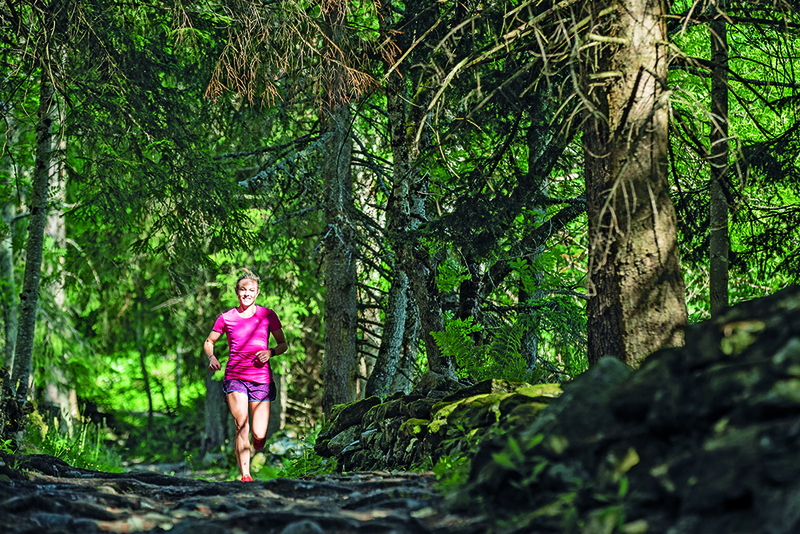 “Every single Golden Trail Series race has at least 20 ladies who could win on their good day. The competition is deep, and fierce. And there’s no room for error or hesitation, or for something just being ‘off’. Aside from the typical learnings you’d expect to gain in racing a series of this nature, Mackenzie has also learnt how to take chances, to run without fear of failing, to run with her heart; and finally, she says, she’s realised that there’s always more, if you dig deep enough. 1. On training runs, always take a baguette with you in your hydration pack. 2. Wear Salomon S-lab Sense from head to toe, all the time. Even when going to buy the baguette. 3. Do at least 5 000m vertical gain per week, every week, from the moment you learn how to walk. 4. Save your smiles for the finish line. 5. Talk about how you don’t actually train; you ‘just spend time in the mountains’. 6. Then, don’t just spend time in the mountains; do hill repeats, speed sessions and VKs (vertical kays) every other day. 7. Take an afternoon siesta. Every afternoon! * Meg Mackenzie finished the Golden Trail Series placing her 10th overall.